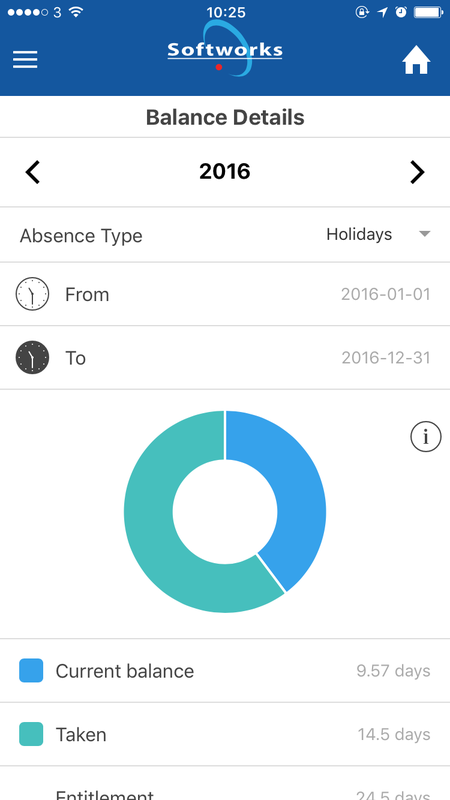 If you find managing employee time, attendance and absences an administrative nightmare you are gonna love Softworks new app :) Our Time & Attendance app allows employees to record their own time, attendance, absences and check work schedules via their smart phones/tablets from wherever they are. The app even includes their GPS location! 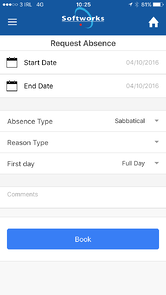 With employees entering their own requests and managers signing off via email alerts it couldn't be easier to manage employee time and attendance. Wave goodbye to re keying data and a mountain of emails and phone calls! Clock In or Out (with GPS location) - Perfect for today's mobile workforce. Check flexi balance (if applicable). 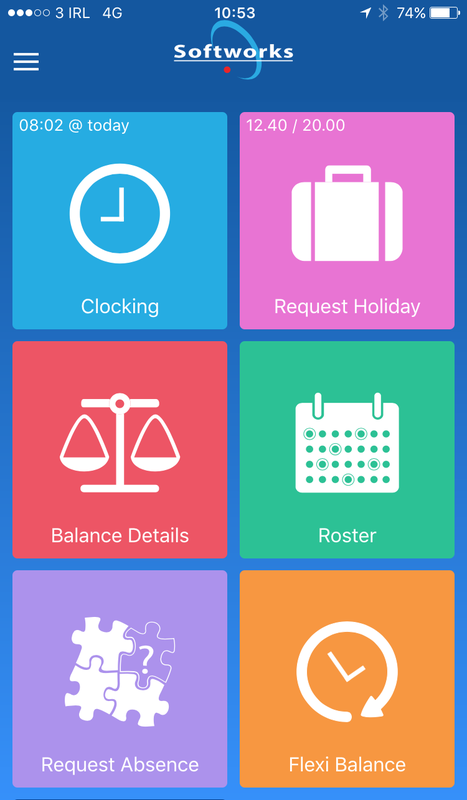 If you would like a quick demo of our new app, we would be delighted to show you around and get your feedback - Just fill in your details via this link and we will be in touch.